This week, Apple‘s got new iPads & Macs, Whisper’s not keeping your secrets, Facebook wants to know you’re safe, and the hoverboard comes back…to our future. 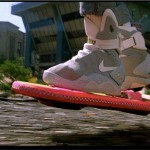 Back in March the internet exploded after a video of what appeared to be a real working hoverboard—the wheel-less, floating skateboard made famous by Back to the Future II—surfaced online. The video, as it turned out, was a Funny or Die hoax. But people just love their Back to the Future technology dreams (I cannot WAIT for one of those fancy pizza rehydrators personally), so it was only a matter of time before the hoverboard showed up again. This time, however, it appears that the hoverboard, which is called the Hendo Hoverboard, actually works…and you can reserve yours for only $10,000. Click on over to the other side for more and to see a video of the board in action. MattyCollector has one of the sweetest pre-orders of all time going on right now with the first release of a replica hoverboard from the seminal 1980s trilogy of films Back To The Future. 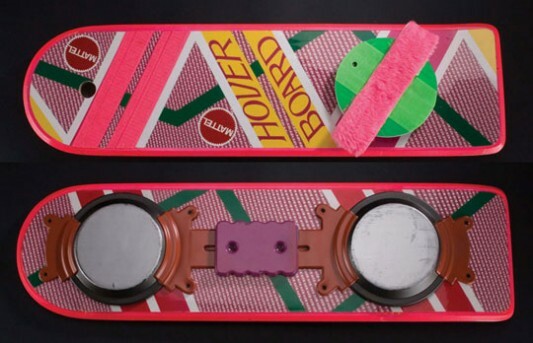 Now, I know what you’re thinking, but while I doubt it’s ability to be a fully functioning hoverboard that hovers and moves like a skateboard, unless it’s on water (you need power for that), it is without a doubt one of the raddest replicas for any film memorabilia collector. And while the idea alone is enough to get any fans heart racing, wait until you hear the details. 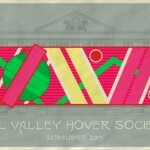 Artist Steve Dressler has created a new Back To The Future-theme piece of artwork called Hill Valley Hover Society. See the image here at right (click for larger, full view). Less than 5 years away! I always loved the colors of Marty’s board. If you’re someone who grew up during the ’80s, then there’s no doubt that you wanted nothing more than to get your hands on your very own working hoverboard from Back to the Future II, just like Marty McFly used. Sadly, much like mini instant-pizza machines, this was a dream that would never come true. While a fully-functioning hoverboard is still pretty impossible — or at least a long, long ways off — that’s not stopping one young French artist named Nils Guadagnin from getting the ball rolling. The artist created a perfect replica of one of the floating boards, and yes, it actually hovers a few inches off the platform is rests on. To the DeLorean! 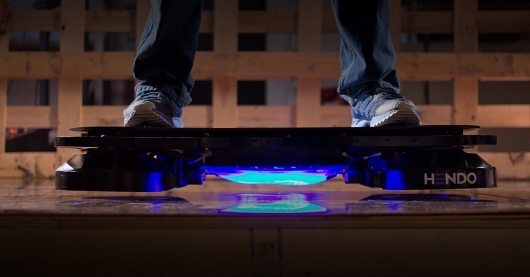 Click on over to the future and see the video of this working hoverboard now!